The Forest Grove School-Based Health Center is located on the Forest Grove High School Campus in a one story building near the tennis courts. If your child is between the age of 0 and 21 and lives in the Forest Grove, Banks or Gaston school districts they are welcome to utilize the clinic. Closed for lunch each day from 12pm - 12:30pm. 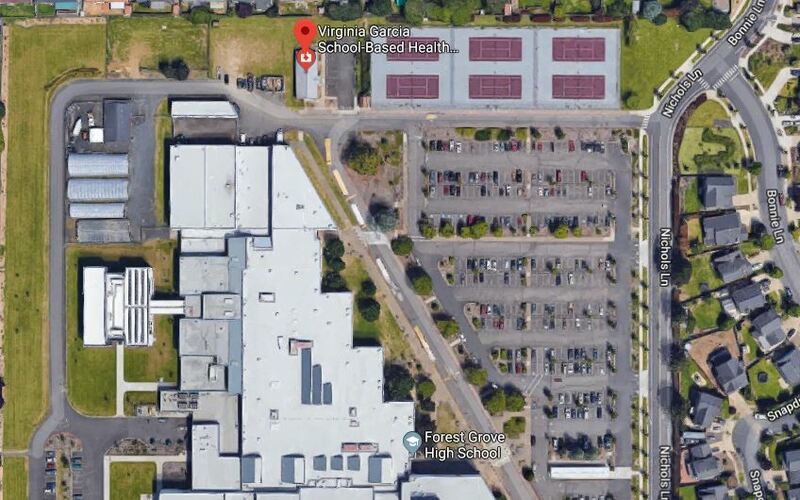 The Forest Grove School-Based Health Center located at Forest Grove High School does NOT follow the school district open and closure schedule. Please check our website if you have an appointment or want to contact us on a day the schools are closed. Dental services are only available one day/week during regular clinic hours. Please contact the clinic to schedule time.